One point I often make at conferences is that on-premises administrators do have a job after work moves to the cloud, but they have to change their work habits and focus to ensure continued employment. 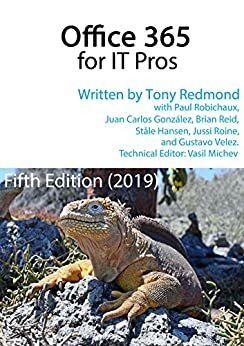 Take an on-premises Exchange administrator who is suddenly deprived of the joy of applying cumulative updates and other patches to servers, navigating the details of the preferred architecture, and figuring out the massive spreadsheet that is the Exchange Server Role Requirements Calculator. Once mailboxes have moved to Office 365, what will fill the gaping void in each day? There’s only a limited amount of your favorite beverage that can be consumed. And anyway, a better use of time is to explore some of the less well-known corners of Office 365 to expand your horizons, gain some knowledge, and support your program for paycheck renewal. Which of course is why I found myself looking at SharePoint Document Identifiers recently. I had no great need to assign server-generated unique identifiers to documents. No one was bashing down my door to demand that they should be allowed to refer to documents using truly memorable terms like PRJ0-1974991961-29. But I have been interested in records management for a long time and the assignment of unique identifiers has been an ongoing and persistent need since the dawn of word processing. In any case, the results of my labor are that several of my SharePoint sites now boast document identifiers and seem no worse for it. Whether or not I ever make real use of these identifiers is still a point to be considered, but that doesn’t take away from the learning gained from exploring the details of the feature and its implementation in a product that, at times, baffles me. All learning is good and Office 365 is full of interesting places to find things to investigate. Old Exchange administrators can learn all about SharePoint and old SharePoint administrators can learn about Exchange. And everyone can learn about the newer bits of Office 365 like Office 365 Groups, Teams, Planner, and Yammer. And then we throw in the ever-interesting areas of compliance and eDiscovery and a smidgen of programming with PowerShell and the Graph. It’s enough to fill anyone’s day. The wide spectrum of topics to master is why I think that administrators should have no worry about their jobs. If you keep on learning, you’ll keep on being valuable to your company. It can be hard to know where to look for information about new technology inside Office 365. If you want a guide, why not consider subscribing to the Office 365 for IT Pros eBook? You won’t read it from cover to cover (well, you can, but most don’t), but it’s a great way to discover new things to learn about within Office 365.